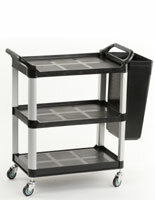 The heavy duty hand truck, three shelf utility cart provides a plastic rolling unit for commercial environments. 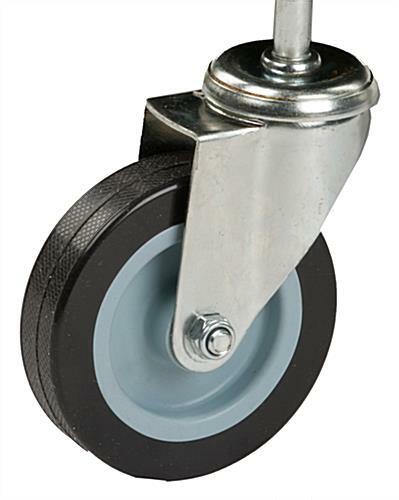 This dolly is an ideal piece of equipment for the food service industry. 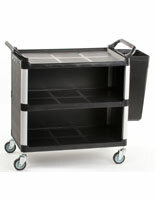 The three shelf utility cart that has dual handles for bussing allows tables to be set and cleared efficiently. 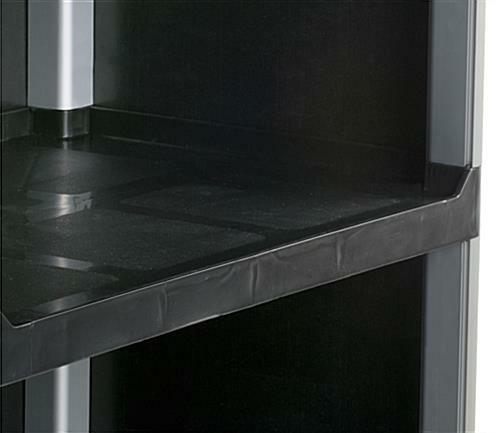 The enclosed shelves maintain an attractive and discreet unit for use in the dining area of the restaurant or in the back kitchen. 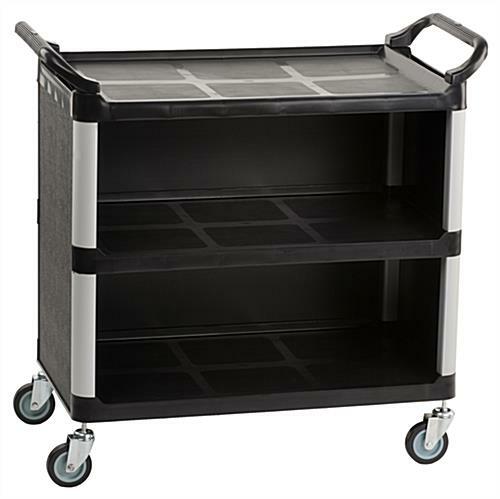 The three shelf utility cart that is constructed from black polypropylene plastic allows for easy cleaning and durability. 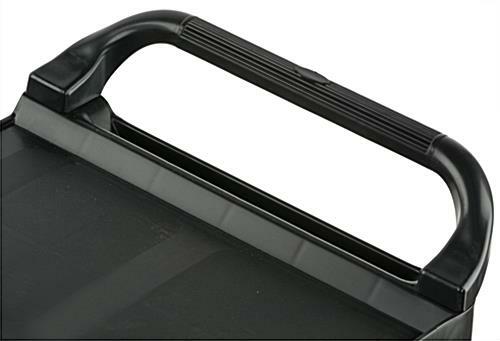 The supply carrier is manufactured with rounded corners to eliminate the potential for wall damage if accidentally hit. 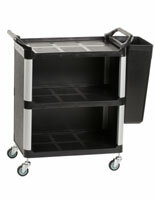 The three shelf utility cart features two handles. 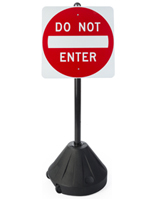 Each easy grip handles are designed to make steering manageable and accessible from both sides. 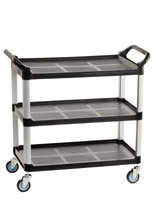 The three shelf utility cart that has swivel casters for easy maneuverability provides effortless mobility and added elevation. 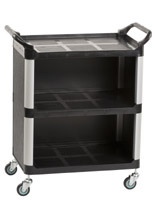 These mobile hand trucks provide a portable unit to easily transport a surplus of materials at once and are available in two sizes. 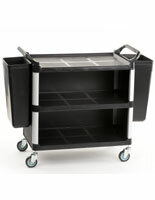 Each multi-purpose trolleys, three shelf utility cart is shipped unassembled and a rubber hammer is required for set up. 40.4" x 38.8" x 19.6"
This is great to hear, Nerr! 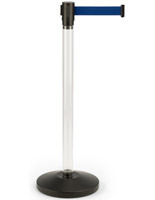 Thanks for your purchase and review.